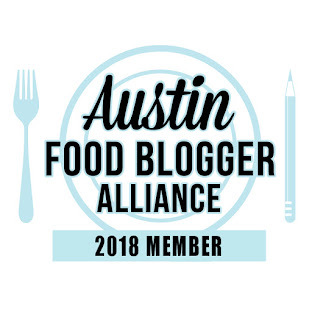 What's happening in and around the ATX food scene?! -- Thursday, July 10th, Salvation Pizza is holding a fundraiser for Camp Glimmer (part of the Glimmer of Hope Foundation), 6 - 9 pm. -- Roll on Sushi Diner celebrates their 3rd anniversary with new group seating, updated menu items, and a revamped drink list; in-house specials July 11-13. 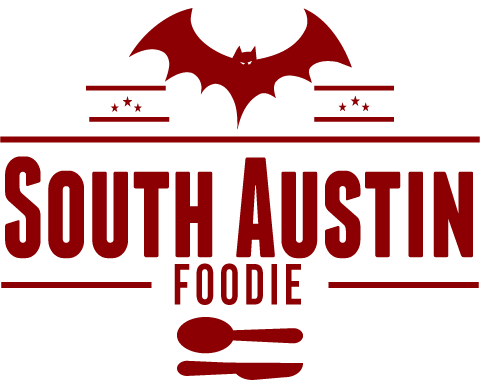 -- On July 13th, Swift's Attic is holding their first Sunday Supper event, benefiting the Austin Food and Wine Alliance. Tickets $150/person and available at the door or by calling 512/482-8200. -- Mulberry is hosting a Bastille Day Dinner, July 14th, $25/person, tickets here. -- PayPal is getting excited for National Ice Cream Day on July 20th. Leave your wallet at home, and just "check in" on the PayPal app to pay for your cool treats from: Coolhaus, Cow Tipping Creamery, Dolce Neve, Froyoyo, and Hey Cupcake (Barton Springs location). -- July 25th, Russia House is holding their Black and White Old Hollywood Party, $10, with music by Snorky's. -- Sunday, July 27th, Dishcrawl is holding their first ever Brunchcrawl, $45/person. Participants aren't told of the restaurants they will visit in advance -- it's a secret -- but will travel to three locations to eat! 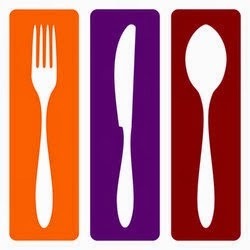 -- Saturday, August 2nd, the 2nd Street District hosts White Linen, which will feature bites from some of 2ND Street District’s favorite restaurants, along with wine pairings from local and popular vineyards. This year the event benefits the Austin Food and Wine Alliance. Tickets are $25. -- The Austin Ice Cream Festival is Saturday, August 9th at Fiesta Gardens; $10/person. -- A local company, Supermechanical, has a Kickstarter in place to raise funding for Range Oven Intelligence, a "brain for your oven" that connects to your smartphone. Check them out (or heck, fund them!) here. -- Foodways Texas annual Camp Brisket will be January 9-10, 2015 in College Station. If you want to learn absolutely everything about smoking brisket, this is the place to be! I believe it always sells out, even at $495-$550/person! -- Upstairs on Trinity is now open for Sunday brunch, 12 - 4 pm. -- Pleasant Storage Room is now open for lunches, Tuesday - Friday. -- We Olive and Wine Bar officially opens July 18th at the Hill Country Galleria. -- Perry's Steakhouse is celebrating their 35th anniversary, with their 4444 special through July and August. That's 4 courses for $44 after 4 pm ! -- Chen Z has opened at William Cannon and 290/71 in Oak Hill. No website or Facebook page that I can find, but here's the Yelp link. -- Sagra now has some vegan options, and can also make their entire menu gluten-free if needed. -- Dock and Roll Diner has new menu selections, including crab and scallop rolls. -- Peche is introducing Tiki Sundays with $10 tiki cocktails all day. -- LA Barbecue is moving from their East 6th location to the Good Life Food Park, near IH-35 and Cesar Chavez. -- Regal Ravioli moved into LA Barbecue's old spot on South First, across from Elizabeth Street Cafe. -- Dai Due is very close to opening their new butcher shop at 2406 Manor Road. Their next door neighbor will be a second location of Sugar Mama's Bakeshop, with a dessert and wine emphasis. -- Mandola's at the Triangle has an updated weekend brunch menu, including new pastries and frittatas; 9 am - 1 pm. Both Mandola's locations as well as Trattoria Lisina also have special summer gelato flavors, including peach and black cherry.